Dear reader we are discussing here only collapse test. We know it is very difficult to predict behavior of collapsible soil and our attempt is to collect specimen of collapsible soil such that it represent actual situation in the field. In this regard, undisturbed specimen is essentially required. 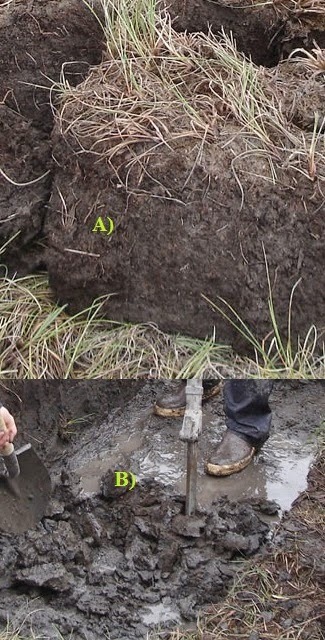 Dear reader we know collapsible soil may be from natural soil or filled material. If our site is situated on the ground that may have collapsible soil and the soil type is filled (uncontrolled) material; we can prepare specimen by compacted filled material to filed density and filed moisture content as well. We have already learned about block sample; which is the best method to collect undisturbed specimens. Trimmed block sample can be collected alternatively extruded directly from sampler into confining ring. The trimming is done very quickly to minimize possibility of alter moisture content of soil specimen. The water content, in most case, in collapsible soil is low and to keep in field condition trimming and storing should not be done in high humid environment. Trimming typically done in confining ring having thickness of specimen is equal to height of confining ring.